The concern that I hear the most from people who are trying to pay off debt is how to recover from a setback. You get all fired up about paying off debt, take the time to create your debt freedom plan, figure out which debt you’re going to pay off first, create a budget, and start to throw every available dollar toward your debt. This works fine for a month or two, or maybe just a week or two, but then something comes up to throw your plan off course. Thank you so much for reaching out! It’s so great that you’re taking control of your finances and working on paying off your debt! You ask a really great question, and I know a lot of people can relate to where you are (including me at times!). Start by celebrating your wins. One thing that keeps my husband and me motivated is seeing how far we’ve come. Each month, I track not only how much debt we paid off in the previous month but also how much total debt we’ve paid off since we started our debt free journey. In two years, we reduced our debt from nearly $320,000 to $200,000! During months where we’ve just been able to make the minimum payments on our debt, I see our total amount of debt paid off and know that we can push through and continue to see progress. If you’re just starting then you may not have a huge payoff number to look back on so congratulate yourself for the new habits you’re acquiring. You mentioned that you just started tracking your debt weekly and you’ll have one student loan paid off this week. That’s HUGE!! Definitely worth celebrating! If you haven’t already, then start tracking your spending. I discuss this more in this post. I use Mint.com (they have an app too) to track and categorize our spending. Then you can look back to see how much you’ve been spending in the past on food, gas, clothing, etc. so that you can better plan a realistic budget going forward. Speaking of budgeting, I wrote a post on that too that may help you. You can check that out here. Don’t forget to include your non-monthly budget busters and money for gifts. The envelope system might be helpful for you too. I haven’t mentioned it on the blog yet, but I plan to explain how we use the envelope system in an upcoming post. If you haven’t heard of it, it’s where you take the money you’ve budgeted for food, gas, clothing, or anything that’s a variable amount, and withdraw those amounts in cash each month. Put each set amount in an envelope labeled appropriately, and then only spend from those envelopes. For example, you might start the month with $500 in your food envelope, $100 for gas, and $50 for clothing. Once you run out of cash in a category, you’re done spending for the month, and you can re-fill the envelope the following month. You can break this down by pay period, too, if that works better for you. It’s a great trick to ensure you don’t go over budget. One thing that might be missing from your financial plan is an emergency fund. If you don’t have any money in savings, then when unexpected expenses come up (and you know they will), you’ll be stuck and feel like your only choice is to put them on a credit card. 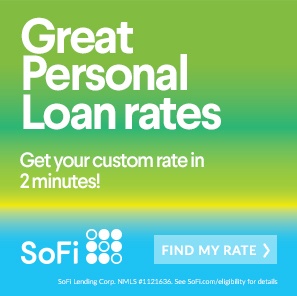 So decide for yourself what a good amount for you and your family is, and then put the debt payoff plan on hold until you’ve saved up that amount. Some personal finance gurus suggest a starter emergency fund of $1,000. I say it should be at least $1,000 for most people. Whenever we have a goal that is going to stretch us, it’s normal to think about taking the easy way out and going back to the way things were before when we didn’t care as much. A life full of debt may not have as drastic of outcome as poor health, but I know that it will lead to a lot more stress. It may be uncomfortable for a while until you really feel like you’re starting to get a handle on how to manage your money, but I know you can do it! Think about why you wanted to get a handle on your debt in the first place, and think about what will happen if you don’t. What will it feel like to be completely debt free, and what would it feel like 10 years from now if you keep adding to your debt? Get really clear on why you’re putting yourself through the trouble of tracking your spending, budgeting, and paying off loans. If you have the urge to eat out or go shopping when you know you should be using that money to pay off your debt, think about which action is more important to you in the long-term. Keep in mind that no one is perfect at sticking to their budget. We’re certainly not, and we have gotten off track from time to time, but we stay focused on our long-term goal of being completely debt free and how that will make us feel. We know that with a little sacrifice now, in a few years, we’ll be able to use our income for WHATEVER we want! We can save up for unforgettable trips, buy a brand new car, give more to others, or just put more into our retirement savings. Or we can do ALL of those things since we won’t be paying thousands each month toward our debt! I hope that helps and that I’ve given you a few ideas that may help you stay on track. You don’t have to be perfect, you just have to keep going, and I promise you that you will not regret moving forward on your debt payment plan. One last thing — you said that with your mortgage you have $215,000 of debt and then put a sad face. I think that’s awesome! You ONLY have $215,000 of debt, including your mortgage! You could have so much more! Remember, my husband and I started with almost $320,000 of debt, and it feels great that we have now reduced it down to under $200,000. It’s all about perspective. There are a whole lot of people out there who have a whole lot more debt and are doing nothing about it. You are on the right track, and if you keep pushing forward, you WILL see progress. Before you know it, that $215,000 of debt will be under $200,000, and then it will be under $150,000, and then it will be under $100,000. How do you recover from a setback? 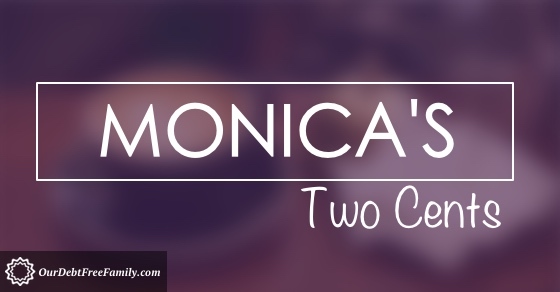 What advice would you have given to Monica? Please share in the comments below. “You don’t have to be perfect; you just have to keep going.” That should be framed in my house. Seriously. Thank you for those words today. This is a great post on so many levels. Remembering why really helps keep you focused – especially if you’re able to put a visual somewhere to remind you (we didn’t have debt, but we scrimped and saved for a year to fund our long-term travel, and looking at that world map in our kitchen every day made it so easy to forego those frivolous, everyday things that add up so quickly). And yes, emergency funds are totally key when you’re paying off debt or living on a pretty tight budget or just living IN GENERAL! And yes yes yes, like most things in life, perspective is so important – love that reminder. Thanks for a great $0.02! Aw, thank you, Jen! I’m glad you liked the post so much! A visual reminder is such a great way to keep your goal top of mind! I love how you used the world map for yours! Great tips! I started using Mint last year and it has been really helpful. I love that it is so visual I can quickly see where my money is going. Me too! We’ve used it for years and love being able to see all of our accounts in one place. Oh no! Perseverance is key to achieving any goal! Great tips monica! Thank you! Thank you, Fernanda! Glad you liked the post! Great tips! For me, I think one of the most important things, is what you mention at the beginning — celebrate your wins (whether big or small). It’s so important to recognize the little accomplishments. They help you work harder for the bigger and harder to reach ones. Yes!! So true, Mary! That’s exactly why I mentioned that. Little wins add up to eventually become big wins. Great advice! I remember, when I was younger and paying off some debt, it seemed like I would never meet my goal and that, every time I felt like I was making progress something would set me back. However, I just kept plodding along and, ultimately, I was successful! That’s so great, Melinda! I’m so happy to hear that you were able to keep at it and were able to pay off your debt!